An overactive immune system may be the cause of implantation failures or recurrent miscarriages. This is because it is thought that the mother’s immune system may perceive that an embryo is an invading cell owing to differences in their genetic codes and therefore fails to accept it. Where an autoimmune response has been diagnosed, treatment in the form of immune modulators such as intralipids and steroids may be considered. Our consultant will discuss this with you if they feel you are likely to benefit from this therapy during your treatment. Several studies noted an increase in natural killer cell activity in women with recurrent miscarriages and recurrent embryo implantation failure. Intralipid is used for improving implantation in patients with high natural killer cell activity. Intralipid or lipid emulsion, is an intravenous infusion that aims to provide essential fatty acids that are necessary for women who have suffered repeat miscarriages. It is normally given once or twice prior to the pregnancy and is prolonged by one dosage per month after the initial conception attempt. 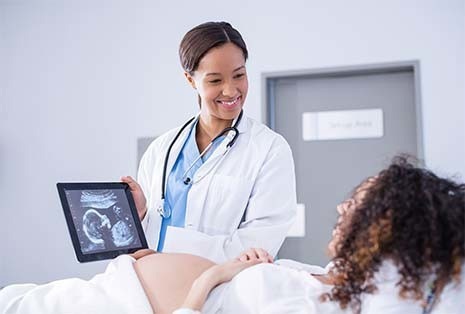 Throughout the period prior-to and during conception, tests are performed at the clinic that will determine or alter the administration of your Intralipid infusion. You must Inform your consultant if you have allergies to eggs, soya beans and peanut oil as this treatment will not be suitable for you. Women undergoing Interlipid infusion may suffer the following reactions: Shortness of breath, Nausea, Vomiting, Headache, Hot flushes, Increase in temperature/Sweating, drowsiness, Pain in the chest and back, Slight pressure over the eyes, Dizziness or Irritation at the site of infusion. Your consultant may prescribe steroids (Prednisolone). This is a commonly used medication used in the treatment of auto immune diseases to suppress the immune system. If it is decided to be beneficial to take this medication, you will start receiving Prednisolone 20mg from day 7 of your treatment until the day of your pregnancy test. Before commencing your medication it is important to ensure you have a blood test to check your liver function, and blood glucose level. Please let your consultant know if you have any medical problems, such as history of tuberculosis. If you have a positive pregnancy test you will carry on taking the same dose until 10 weeks. After that time you will be weaned off this medication slowly over a period of 3 weeks – reducing 5 mg per week. If you have a negative pregnancy test you will keep on taking Prednisolone 15mg for 3 days, then 10mg for 3 days then 5mg for 3 days before stopping. A short course of steroids usually causes minimal side-effects. These are more likely to occur if you take a long course of steroids (more than 2-3 months), or if you take short courses repeatedly. The higher the dose and the longer the period you take steroids, the greater the risk of side-effects. Osteoporosis (thinning of the bones), weight gain, an increased chance of infections, an increase in blood pressure, high blood sugar, skin problems, muscle weakness and peptic ulcer. Some people do however report that they actually feel better in themselves when they take steroids. Steroids are associated with cleft lip and palate. However, these are usually caused by a combination of factors and are mostly commonly genetic in origin. Do not stop steroid tablets suddenly if you have been taking them for more than a few weeks. It probably does no harm to forget the odd tablet. However, you may get withdrawal symptoms once your body is used to the steroids. These may develop within a few days if you stop steroid tablets suddenly. Please ensure that you carry a steroid card at all times. Any change in dose should be supervised by your consultant. If at any time you are concerned, please do contact the clinic for advice.